The study shows digital fundus photography cameras in the emergency department are helpful in triaging patients who come in with headaches, neurological disturbances, visual changes or severe high blood pressure. Emory Eye Center investigators have found that smartphone displays are as good, and may be better, for reading fundus photographs of the back of the eye (retina and optic nerve) than desktop computer monitors. The new technology has been an added finding in a multi-year study examining the use of non-dilated photography of the back of the eye in the emergency department. Emory researchers published this finding within the “Research Letters” section of the Archives of Ophthalmology, July 2012. The findings follow up on a study published recently: “Quality of nonmydriatic digital fundus photography obtained by nurse practitioners in the emergency department” (Ophthalmology, March 2012). The method studied allows specialized consultations within the emergency department that would not otherwise have been obtainable. Emergency rooms do not staff ophthalmologists, so having the ability to send readily-obtained photographs of the back of the eye, taken by nurse practitioners, to an ophthalmologist outside the hospital setting can be a critical tool. It helps emergency room practitioners assess the severity of their patients’ medical conditions and decide when further ophthalmological consultation is necessary. Because of the prevalence of iPhone technology, the ready access of obvious high-quality images joins the many other applications of smartphones within medicine, such as electronic medical records, books, guidelines and other diagnostic tools. Its portability can provide access to any ophthalmologist with a smartphone. The study conducted by Emory titled Fundus Photography vs. Ophthalmoscopy Trial Outcomes in the Emergency Department (FOTO-ED) has shown that non-mydriatic (no dilation required) digital fundus photography cameras in the emergency department are helpful in triaging patients who come in with headaches, neurological disturbances, visual changes or severe high blood pressure. Emergency room practitioners need a timely and accurate assessment of the patient’s condition. 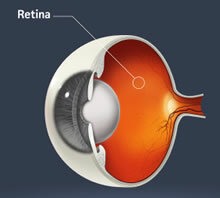 Certain conditions can be overlooked when an eye exam is not a part of the overall evaluation. Most patients would not guess that a look inside the eye is what they need for a complete diagnosis. Emory Eye Center has a mission to conduct pioneering research into blinding eye diseases, to educate and train eye professionals, and to provide excellent patient care. The Department includes 33 ophthalmologists, eight optometrists, 11 basic scientists, 11 post-doctoral fellows, and nine researchers in other Emory departments who hold joint appointments in the Emory University School of medicine’s Department of Ophthalmology.